Most social media outlets only allow users to upload pictures and videos via mobile phone. It’s part of the allure of social media platforms like Instagram: with a quick button push and photo snap, you can post or broadcast yourself to the world. At least, that may be true for some of us. 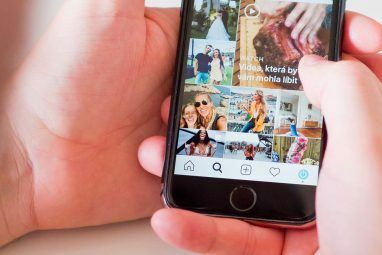 Others, including perfectionists and professionals, insist on editing their photos and videos outside of Instagram before uploading their retouched media back onto their Instagram accounts. If you fall into the latter group, read on to find out all the ways you can upload edited work onto Instagram! Note: This article assumes that you’re already familiar with the Instagram social media platform. 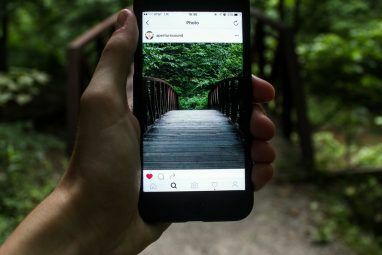 If you aren’t, first check out our tips and tricks for using Instagram like a pro 10 Cool Tricks to Help You Use Instagram Like a Pro 10 Cool Tricks to Help You Use Instagram Like a Pro We're always covering the best awesome Instagram tricks and ideas. But I'm offering you ten tips and tricks I found that will specifically help turn you into a professional on the social network. Read More . It can be a hassle to switch from your PC to your phone just to upload a picture. After all, we live in the age of the Internet of Things What Is The Internet Of Things & How Will It Affect Our Future [MakeUseOf Explains] What Is The Internet Of Things & How Will It Affect Our Future [MakeUseOf Explains] It seems like there are new buzzwords popping up and dying off with each day that passes us by, and "the Internet of Things" just happens to be one of the more recent ideas that... Read More . What if you don’t have a smartphone in the first place? Hard to believe, I know. Nevertheless, here’s how to upload Instagram photos and videos from your PC. Developer features in internet browsers are a beautiful, but often unused, thing. For example, did you know you can emulate mobile apps and websites directly from your Google Chrome browser? For starters, log in to your Instagram account as you would regularly within your browser. Then, navigate to your profile page by clicking the profile icon to the top right of the page. From your page, right-click an empty space and select Inspect. This will open your Inspect page, which developers use to test and copy code. Click on the three horizontal dots (the default options icon) to the far right-hand side of the window and select the right-most icon beside the Dock side option. This will shift the layout of the Inspect panel to the right. Then, click on the devices icon located at the top right of your horizontal Inspect panel (also pictures above, next to the Elements tab). On mouse-over, it should read “Toggle device toolbar”. A small options panel should pop up over your Instagram web page. Change options as you see fit in order to view your page correctly. They page should also have been rearranged to more closely resemble a mobile browser. Then, change the Responsive option by clicking the dropdown menu and selecting your choice of mobile OS. I’ll choose the Samsung S5 option since I’m an Android user. Finally, refresh your page and your bottom icons—including the upload icon—should appear. That’s it! You can now use Instagram on your Chrome browser just as you would on your mobile device! To switch back to the previous Instagram version, click the X at the top right of the Inspect window. If you need to resize your web page window Windows Keyboard Shortcuts 101: The Ultimate Guide Windows Keyboard Shortcuts 101: The Ultimate Guide Keyboard shortcuts can save you hours of time. Master the universal Windows keyboard shortcuts, keyboard tricks for specific programs, and a few other tips to speed up your work. Read More , press Ctrl + Plus or Ctrl + Minus on your keyboard to zoom in and out the page. The world of PC tinkering is almost infinite given how much technology you can emulate from a desktop. Everything from calculators to alternate operating systems can run from your PC—you can even run Android on your computer The Best Android Emulator for Windows 10 The Best Android Emulator for Windows 10 You've heard of Android phones, but did you know you could install Android directly onto your computer? We'll show you the best emulators for Windows 10. Read More . Below is the quickly edited image I created in Photoshop, which I’ll upload to Instagram. Keep in mind, all of the specifications of image quality regarding the platform apply no matter what method you’re using to upload. I’m using Nox as my Android emulator, but the process is largely the same for all emulators. First, download and install your emulator. Remember that emulators require a large portion of your processing power. Once you’ve installed your emulator, open it. The default Android setup will begin, so proceed to enter your Google information so you can access applications and settings. Then, install Instagram as you would any other app. Nox allows users to drag and drop their files into the window, making file transactions a breeze. Drag and the drop the file you want to upload to Instagram. Next, choose the Open Noxplayer folder option to ensure you’ve uploaded your files. Your file now sits within a repository that Nox can use. You should now be able to open Instagram—as you would on any mobile device—and upload your image via the default upload page. You’ll see your newly added image or video in your Instagram gallery section. If you do not see your image in this page, close the application and reopen. After you’ve selected your photo, click Next on the top-right corner of your of your screen. Navigate through Instagram’s prompts and select Share at the end of the process. Finally, head to your Instagram page by selecting the person icon on the bottom right of the application to verify the upload was successful. That’s it! Just like that, you’ve uploaded handcrafted creation directly to Instagram from your PC! Yes, you could always send an image via email and upload it to Instagram on your phone. That method, however, can be very annoying. Transferring files between phones and PCs The Fastest File Transfer Methods Between PCs and Mobile Devices The Fastest File Transfer Methods Between PCs and Mobile Devices PC-to-mobile files transfers are easy to do. This article covers five fast transfer methods between PCs and mobile devices. Read More typically involved a third-party application. Luckily, there are plenty of android applications available in the Play Store to do just this. AirDroid ranks as my top favorite file transfer app for three reasons: it’s free, it works, and it’s available for both Android and iOS. Simply download both the desktop and Android/iOS apps and run them. Either AirDroid device should locate the other automatically. If not, open your desktop AirDroid app by double-clicking the popup arrow that appears on your screen. Then click on the Nearby option on the left-hand side of the window and click Search when prompted. This will search for nearby devices with the mobile AirDroid app installed. After your device is connected, it’ll appear on the left-hand side of the window. Now that your device is connected, all you have to do is drag and drop a file onto the popup arrow you first clicked. A plus sign will appear over your cursor implying that you are about the transfer the file. You should receive a popup on your mobile app that the file was indeed received. Finally, upload the image onto Instagram as you normally would. It’s hard enough editing, why make the upload process complicated as well? Besides, if your an aspiring graphic designer, or all around image tinkerer, an Instagram account is a must. Save yourself the discomfort and start uploading anything from… anywhere! Need inspiration? 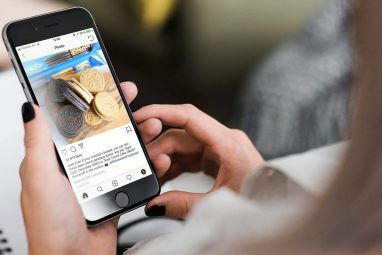 Check out our tried and true tips for getting more real Instagram followers 8 Tricks to Get More Real Instagram Followers 8 Tricks to Get More Real Instagram Followers There are plenty of tips and tricks for getting noticed on Instagram. Here are some of the best. Read More !